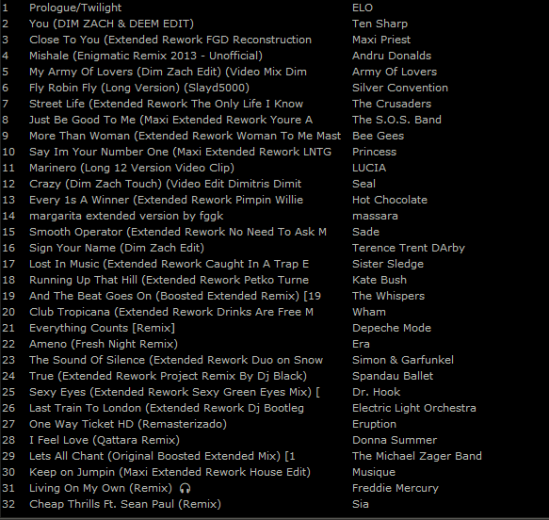 New set of some tunes I found with new versions and compiled to yet anoter mix in the Café series. Tracks mostly from the 70’s, 80’s and the 90’s with fonk and soulish sound. Wish to download instead of streaming? Click here on this row..